Meme Motorsports – Much car stuff, Very Wow. For a rainy winter day we had a great turnout. I was surprised to see so many great cars out braving the wet and salty roads after recent storms. Can’t wait until the next cars and coffee event, hope the weather is better! This year has been crazy, and I’ve failed to share quite a few events on this website. Be sure to check them all out on my Facebook Page! It’s summer. It’s hot. The sky is clear. So what do you do? Well I throw my leg over my Suzuki Bandit 1200 S and cruise about an hour down the highway at 7 a.m. to the middle of nowhere Kansas. Why? for cars and coffee of course! StoneGate Motorplaza is a beautiful facility housing carriage houses for car enthusiasts. 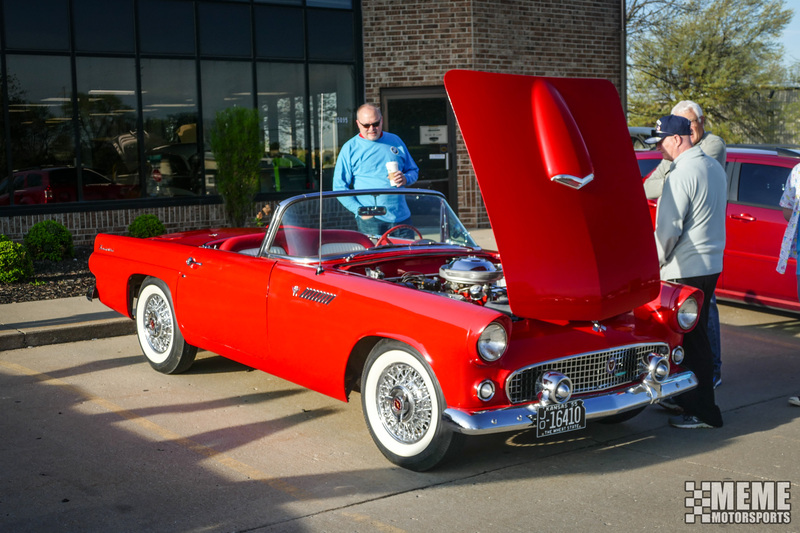 Kansas City Cars and Coffee hosts events there throughout the year and the turnout is always great. It’s close proximity to a local exotic repair shop, Blackhorse Motorwerks, means a lot of fun things show up. But it’s not all exotics and sports cars, a great selection of rat rods and crazy mods show up. As always I’ve got a full album and video from the event for you to enjoy. Be sure to follow me on the social medias for more event coverage! BMW E36 M3 Drift Missile Hit the Wrong Target! Import Face-Off still feels like it was yesterday, and the picture of the dude getting smacked by the 350Z wing during the drift session is still running around the internet. But that wasn’t the only hard contact made that day. An E36 M3 went nose first into the barrier after tapping the wall, and it hit HARD. You can see in the video here he tried to get ultra-close to the wall, tapped it, and by the time he corrected it was too late. Watching his head bounce on impact makes me want to wear a Hans device 24/7. As with any motorsport accidents happen, and everyone is part of one at some point. 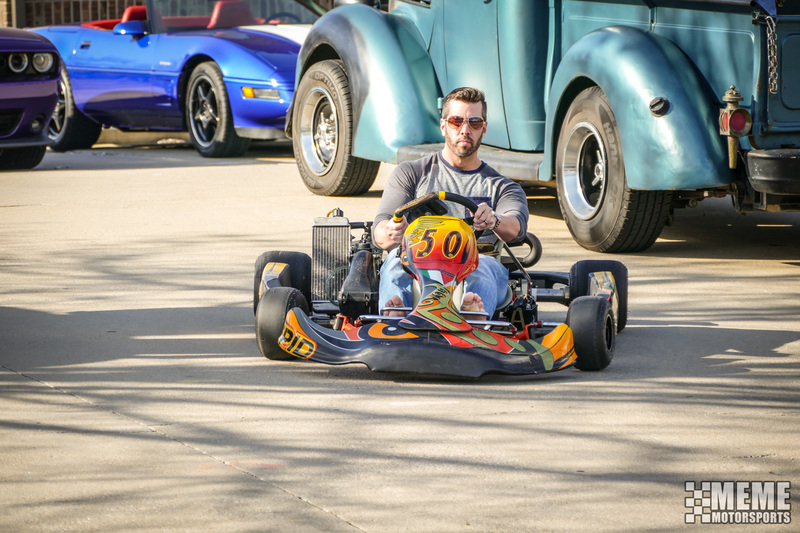 I’m sure the driver will be back on the course hanging sideways and having a good time at the next event. This weekend was a bit iffy in terms of the weather forecast, but it actually turned out to be really nice. Saturday morning was cool but sunny, which was a perfect combination for comfort. This being a holiday weekend I knew not many people would show up, but sometimes a small crowd is more fun. You actually get to walk around and enjoy everything instead of running around just trying to see all the vehicles. Who doesn’t love an old Thunderbird? This car was beautiful to see. I’m hoping to catch the owner of this Accord wagon at some point to kick off my future owner’s series. Then from down the street this thing showed up. Who needs shoes in a shifter cart? 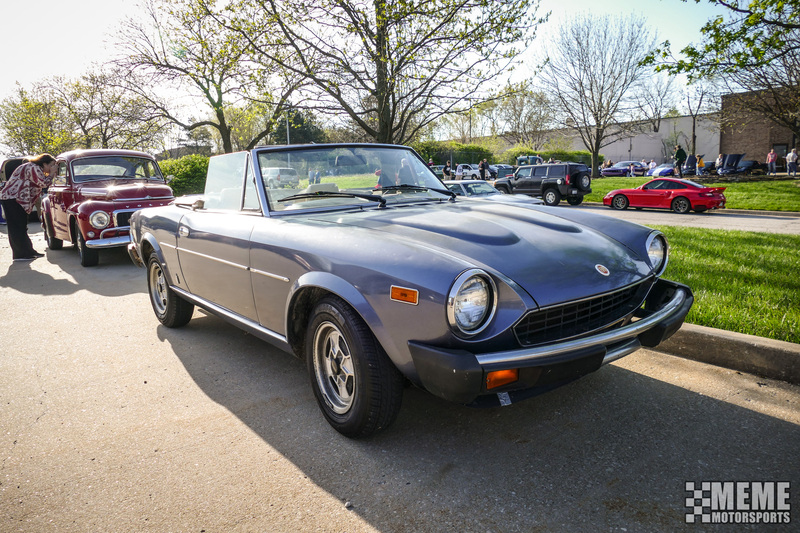 It’s not everyday you see a Fiat 124 rolling around town. As always there’s a full album of photos and some video from the event for you to enjoy. 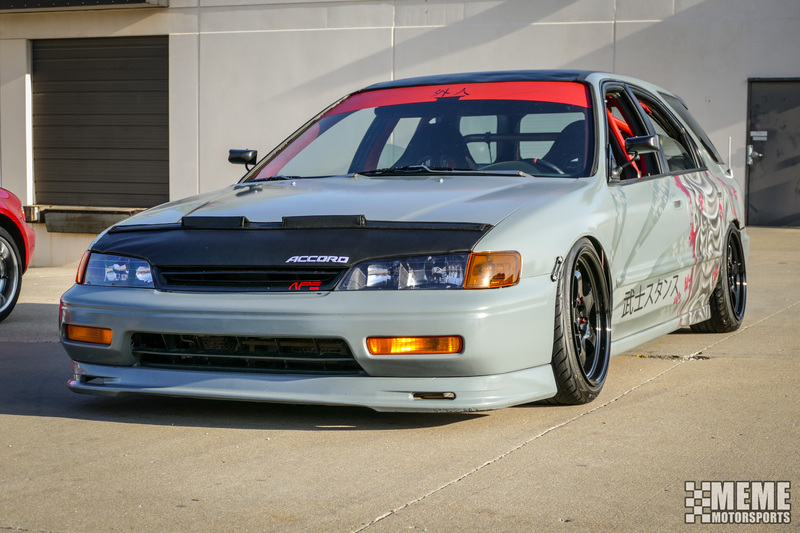 Import Face-Off is one of those events that you never want to leave. You get up way earlier than you ever should on a weekend to hang out with an obscene amount of car people to do car stuff. Drifting, drag racing and car show. What more can you ask for? The show was a nice blend of cars, though I always enjoy the unique stuff it’s great to see cars that are considered average cleaned up for show. I have to show off some imports because of the name of the event, but there were all sorts of great rides. This event was the first time I saw drifting in person, and it was an experience. Standing behind a small concrete barrier watching cars slide by you at speed is something every automotive enthusiast should experience sometime in their lives, even if it’s super dangerous. There’s nothing like trying to clean burnt rubber out of every pour of your skin after just 30 minutes of spectating. The drag racing was fun to watch too. Seeing everything from 16 second bone-stock cars to 10 second purpose-built cars was pretty great, and the trash talk made it even better. It was always fun to guess if a car was a sleeper or not, or if the crazy looking race car was actually fast or just an un-tuned eBay special. As always I’ve got some video and a full album of photos from the event. The 2017 Kansas City Region SCCA Solo Season has officially begun! Today was the first event of the season, marking the beginning of a long journey for myself and my 2015 Focus ST. I had big plans for this year, and after a lot of thought I went through with them. I ditched the used Eagle F1 tires and stock rims for a set of dedicated autocross wheels and tires, and threw on an aftermarket rear sway bar. I know it doesn’t sound like much compared to what most in this sport have done, but the thought of modifying my car to the rules of my class in a way to make it perform better in any way was super exiting to me. Who knows, this car may end up stripped out and fully prepped once it’s paid for! I had a lot of fun at the test and tune the day before the event, even sliding off into the grass during one of my runs. Thankfully there was no damage, just a bruised pride and a lot of mud everywhere. This is when I knew I was in the zone, I was ready to tackle the first event. I chose to run the end of the event because I just wanted to get back in the groove of being there. I’ve gone to so many cars and coffee events that I almost forgot what it was like to be at the course for seven, sometimes eight or nine hours a day. I snapped some pictures during the first heat, worked the second, and was ready to run in the third. During my first run a fellow driver, Greg Cheney, offered to ride along and give suggestions. As you can hear in my video, I’m a bit sheepish with the throttle (and brake) and after realizing that I got in a grove. I shaved around two seconds off of my time during the second run, and was able to edge into first place in G-Street and 16th in Pax out of 144 by my last run. I was so exited to see that I made it to the top of my glass during my first event when most of the class was participating. 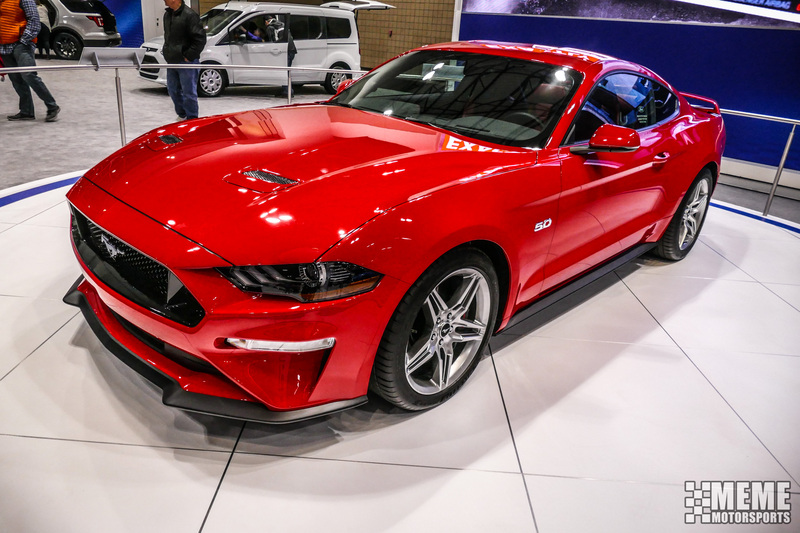 This weekend was the Kansas City International Auto Show, which is a really cool way of saying a show where you can see all the new cars hitting the market as well as some other local club things. Though a lot of stuff that was just released at other shows didn’t make it out to the event, there were still plenty of things to check out. 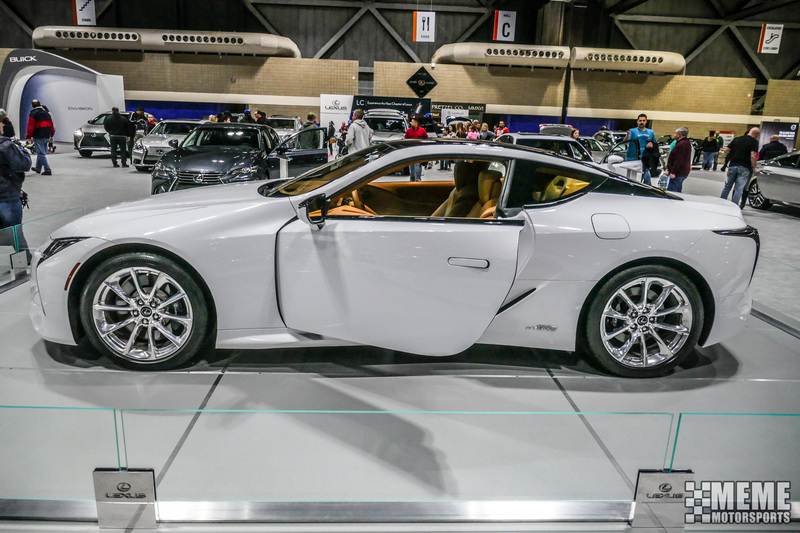 The new Lexus LC500h was pretty cool, and though it’s coupe design would lead you to believe it might share some similarities with the spied Supra, it’s a bit on the big side. The new Mustang was there, showing off it’s subtle changes. I still miss the last generations’ hood design, but oh well. My favorite car of the day was not something you could really buy, but it was definitely cool. 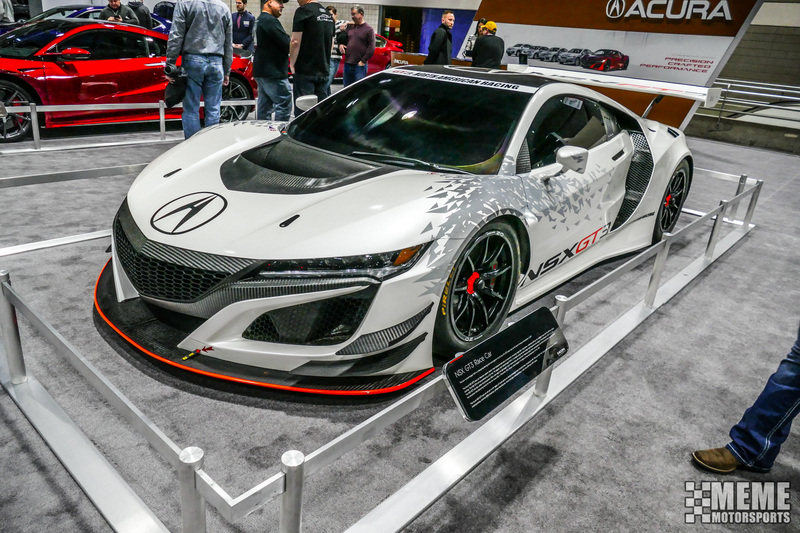 Acura brought one of there NSX GT3 cars out and it was gorgeous. As always there’s an album to go along with these few photos, enjoy!